Braille services are billed based on the number of embossed Braille pages; rates include transcription, embossing, and proofreading services by at least two (2) experienced Braille transcribers. Please take note that the turnaround is estimated on a project-by-project basis after reviewing the source document, and it can only be accurately established after the transcription quote/estimate is approved. Rush surcharges may apply for large volumes requested with short notice (less than seven (7) business days). 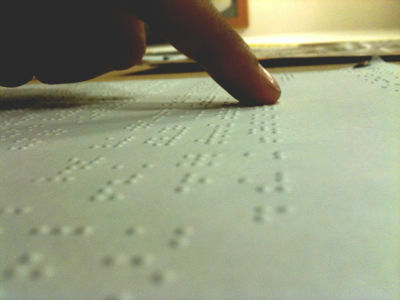 Please contact us for more information about our Braille services.